We discontinued farmers market sales in the fall of 2014. Some items are available from the farm with a $50 minimum, by appointment. 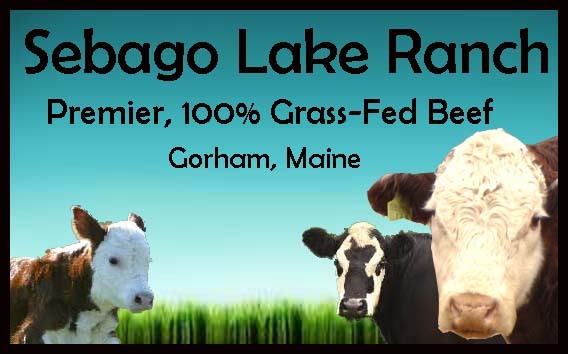 The best and most economic way to acquire beef from Sebago Lake Ranch is to place a deposit on a quarter, side or whole beef for your freezer. An early deposit ensures your name on our waiting list. All meat is processed in a USDA inspected facility and dry aged. It is then promptly cut to your specifications, vacuum sealed and flash frozen to ensure a superior cut of meat. It's no wonder our customers come back year after year and bring a friend with them, it's really that good!